Nora Reid believes scientific laws control everything, even love. 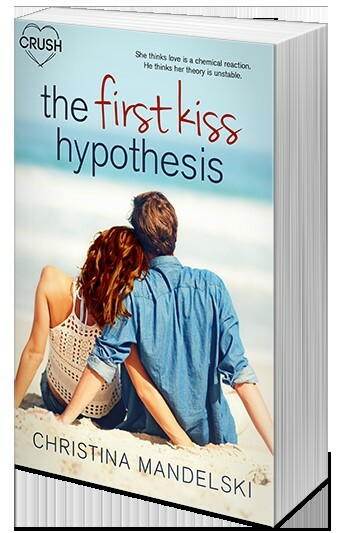 With her grandparents’ epic first-kiss story cemented in her brain, Nora develops a hypothesis she’s determined to prove:for each person in the world: There is exactly one other person, and at first kiss, they’ll experience an immediate and intense reaction. Eli Costas is an injury-prone lacrosse star with a problem—the one chance he had at winning over the girl next door resulted in the most epically sucktastic first kiss ever. And now she’s… trying to get rid of him? Hell, no. It’s time to disprove her theory and show her exactly what she’s missing. Christina Mandelski was born in South Florida, where her love of reading was cultivated in a house full of books. Stories like The Little House series, The Lion, The Witch and the Wardrobe, Island of the Blue Dolphins and The Secret Garden filled her imagination and fueled her dreams to be a writer. 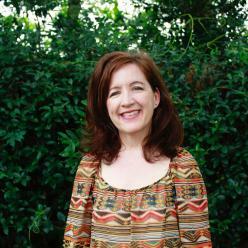 That dream came true when her first young-adult novel, THE SWEETEST THING, was published in 2011, and she’s beyond thrilled about her upcoming series for Entangled Crush. Chris lives in Houston with one handsome husband, two beautiful daughters, and two freakshow cats. She has a fondness for the beach, her family and friends, and she still loves to read (especially curled up with a good cup of coffee)! She also enjoys shopping, traveling and eating, especially cake. Always cake. When she’s not doing these things, you can find her holed in a cozy spot with her laptop, writing. Best Friend to lovers !Female to Male !